Welcome to Rio Pinar Golf Club, the finest in Orlando golf. Our club has been a fixture in the area for more than 50 years, since we first opened back in 1957. The rich history at Rio Pinar includes hosting the PGA Tour’s Citrus Open and the LPGA’s Women’s Citrus Open events from 1966 to 1982. 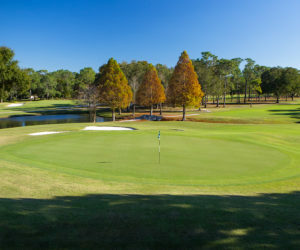 In fact, some of golf’s greatest players have played through the fine layout at Rio Pinar, including Arnold Palmer, Julius Boros, Lee Trevino, Hale Irwin, Jerry Heard, Ken Still, Gary Koch, Patty Sheehan, and Beth Daniel.